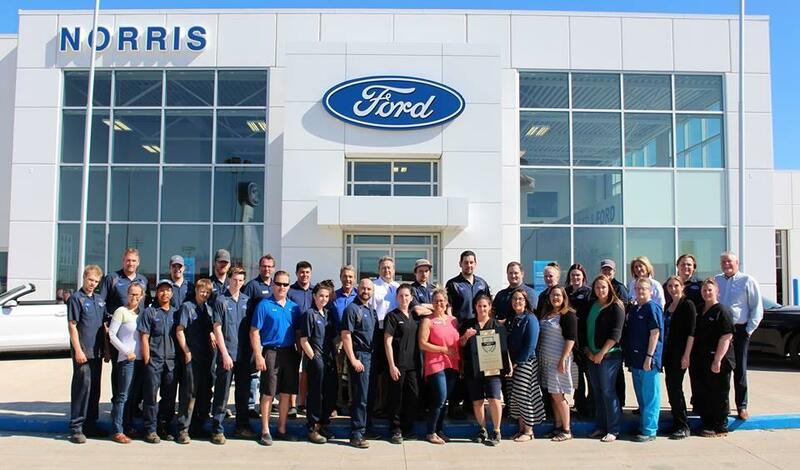 About Norris Ford Sales - Wainwright, AB Area New & Used Ford Dealership serving Wainwright. Norris Ford Sales offers many automotive products and services to our Wainwright area customers. From quality new Ford vehicles to used cars, we know anyone looking for a vehicle near Wainwright will likely find what they want at our dealership. We carry a comprehensive line of Ford vehicles, including the F-150, Super Duty, Escape, Edge, and Explorer making us a good choice as your Wainwright Ford car dealer. Call Norris Ford Sales or come visit us in person. We're convenient to Wainwright, AB and located at 2929 15 Avenue. and look forward to helping you with your automotive needs. On behalf of our entire staff, we would like to welcome you and thank you for visiting our website. Here at Norris Ford Sales we have an approach to business that ﻿﻿﻿﻿﻿puts families first﻿﻿﻿﻿﻿ and at the core of our decision making. It is a desire to impact and build a long term relationship with the communities we serve. For us, this begins with putting families first – those we employ and those we work with. When you shop Norris Ford you invest in our community! We know that you have high expectations in your car search in Wainwright. So if you’re in the market for a new Ford, stop by Norris Ford Sales. We’re confident we have the right vehicle for you. Here at Norris Ford Sales, we enjoy the challenge of meeting and exceeding customer expectations in all things automotive. We offer a great selection of new vehicles in our showroom here at Norris Ford Sales. You’ll also find a huge selection of Certified Pre-Owned and Used ones of various makes and models. Begin your search by browsing our online inventory. Compare and find deals on Ford cars, crossovers, SUVs and trucks. Visit the various Offers pages for the latest incentives and deals on New Vehicles, Clearance Vehicles, Finance Offers, Service Offers and Parts Offers. You won’t regret it! Found the car of your dreams? Or simply don’t know what you can afford? No problem! The financial specialists here at Norris Ford Sales offer a variety of finance and lease options. They will work with you to find the right loan terms. At Norris Ford Sales, we pride ourselves in finding the right payment schedule for customers in Wainwright and the surrounding area. Finally, Norris Ford Sales believes in regular maintenance and we want you to believe this as well. Thus, our﻿﻿﻿﻿﻿ expert technicians are here to give the highest quality of service﻿﻿﻿﻿﻿. Need an oil change? No problem! Or your vehicle needs more extensive work? No problem! Soon you’ll soon understand why customers in Wainwright keep coming back to Norris Ford Sales for all their automotive needs.